A warm and inspiring book for anyone who has ever dreamed of changing tracks, Hammer Head is the story of a young woman who quit her desk job to become a carpenter. Writing with infectious curiosity, Nina MacLaughlin--a Classics major who couldn't tell a Phillips from a flathead screwdriver--describes the joys and frustrations of making things by hand. 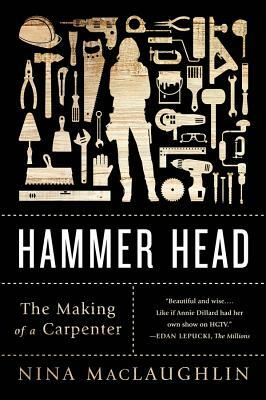 Filled with the wisdom of writers from Ovid to Mary Oliver and MacLaughlin's own memorable accounts of working with wood, unfamiliar tools, and her unforgettable mentor, Hammer Head is a passionate book full of sweat, bashed thumbs, and a deep sense of finding real meaning in work and life.